First off, kudos to Wesley, Mo and Stereo One here in Milwaukee. They are the only ones I let touch my cars for stereo upgrades and tinting. This is my 5th stereo set-up and they, as always, did an INCREDIBLE job. I love music and the BOSE stock stereo is, IMHO, not close to what a Corvette should have… first thing Wes did was measure the sub to make sure my roof would still fit in the back. 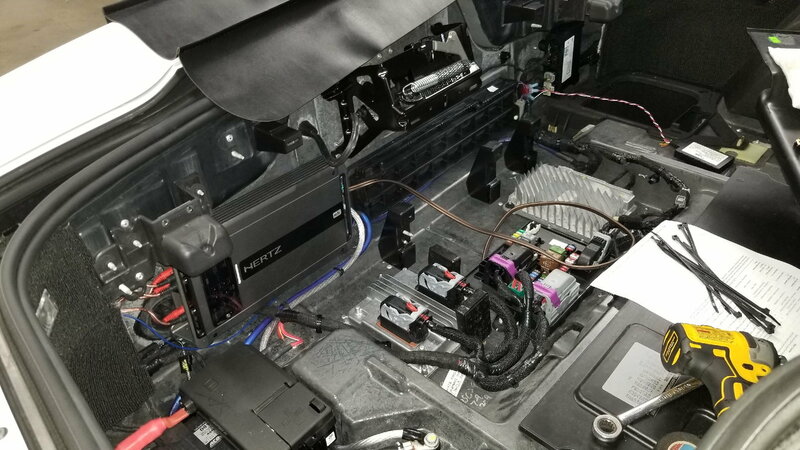 I’ve included several pics showing just how complex the process was… we settled on a Hertz MPK 163.3 PRO Mille Pro Series 6-1/2" 3-way component speaker system including processor and amp along with a Pioneer sub. I spoke at length with Wes and Mo as the BOSE stock system provides little in modifications due to the tuning and sound matching. Wes loves the Hertz line as he and Mo thought it would be the perfect set-up. They nailed it!! I will update when applicable but so far, beyond exceeded my expectations. The pricing was unbeatable as I do much business with them, but Wes doesn’t skip anything and took his time til he was completely satisfied with the tune and programming. Thanks again Stereo One, enjoy the pics and I’ll answer any questions as best possible since I’m not the tech guy on this one! 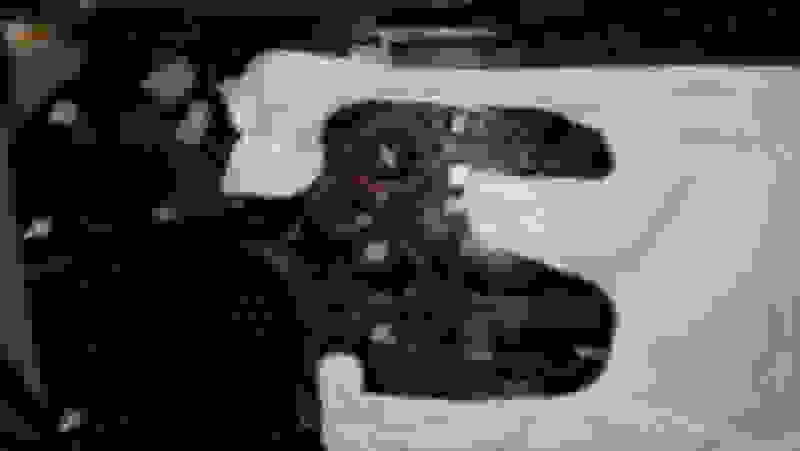 Last edited by Rdgdawg; 04-11-2019 at 02:04 PM. I spoke at length with Wes and Mo as the BOSE stock system provides little in modifications due to the tuning and sound matching. I believe bypassing the Bose processing solves 70% of the problems with the C7's stock system. FUP- 24 hours and the sound is amazing. My music choices (rock/metal- Priest, AC/DC, Van Halen) are heavy on guitars and updated system really brings out the mid-range. For example, "Freewheel Burning" by Priest really shows up in the guitars, and Rob's voice has an echo I've only heard on my home theater... just incredible!!! Obvious bass and the cymbals are now neutralized into the entire sonic wash... I am pleased beyond words!! Sub takes about 30 days to really break in and can only run at 75% but..... unreal... will update in 30 days. Is the Hertz processor also an amp? My C7 is the only Corvette that I haven’t done the audio in. The signal processor is a new one for me. Great pics and write up. Thanks for doing that. Is the Hertz processor also an amp?. Last edited by Rdgdawg; 04-13-2019 at 11:54 AM. A single 5 channel. Sweet. All in one. Amps are so good today. Great audio build my friend. Thanks for the info. 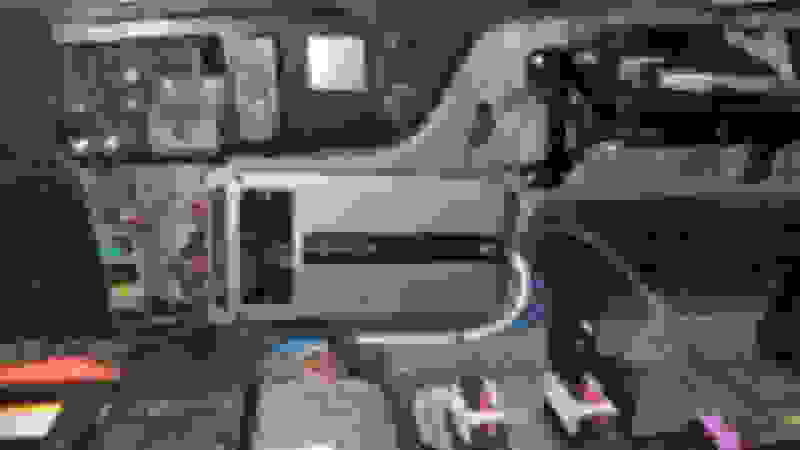 Last edited by vetten76; 04-13-2019 at 11:57 AM. Not sure what's left... I've messed a bit with the custom sound/EQ on my Samsung Galaxy 9 and I use Amazon Music and Pandora off the phone so I'll see how much that might change the sound. 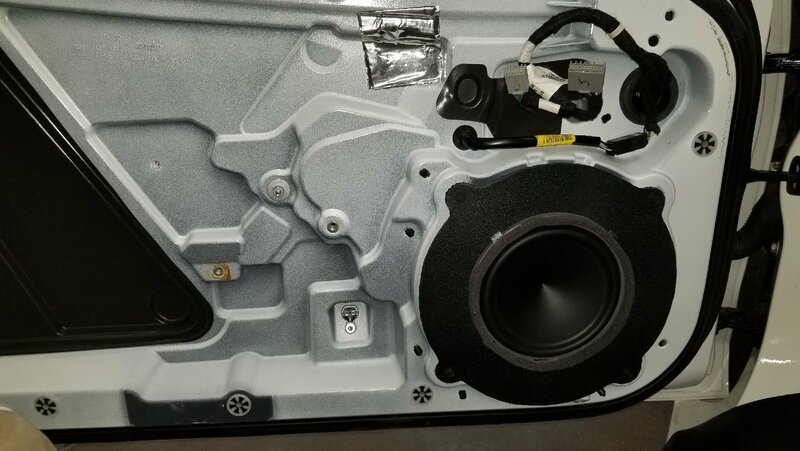 What speakers did you put in the rear? Did you look at the JL Audio Stealthbox? Oh, and did you use the NAV-TV or the PAC-AUDIO? Last edited by Matthewstorm; 04-13-2019 at 11:46 PM. Apologies if this is an obvious question, but why would a sub take 30 days to 'break in'? Last edited by Matthewstorm; 04-14-2019 at 10:53 PM. All that matters is what sounds good to you. Technically yes - but the differences before & after would only be noticed with measurement equipment. As the JL help article mentions the suspension does loosen up a bit over time. Give the Driver position setting a try, I found it helps the sound stage. However as mentioned its personal so if you don't like it then just change it back. I swapped between the two over the course of about a week before realizing Driver was better, more accurate, etc. ....Give the Driver position setting a try, I found it helps the sound stage. However as mentioned its personal so if you don't like it then just change it back. I swapped between the two over the course of about a week before realizing Driver was better, more accurate, etc. Sounds like a awesome setup. Same music I listen to. The Priest one of my favorite bands. Seen them about 7 times in concert. My c5 Z06 was all done up with audio system. 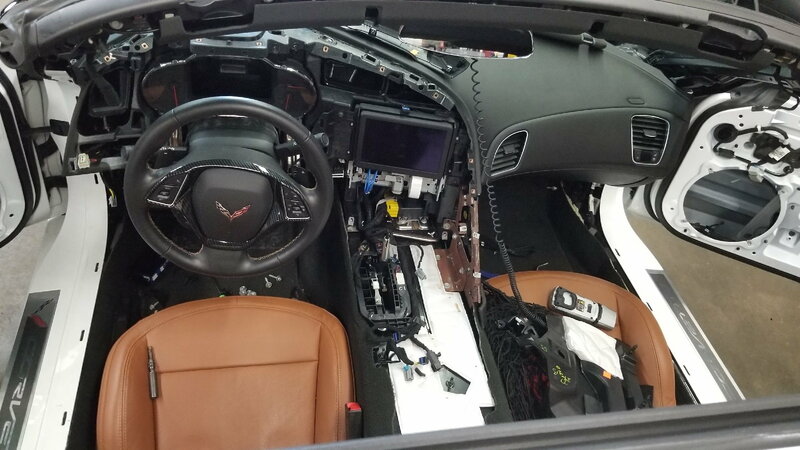 Plan on having my C7 done down the road. 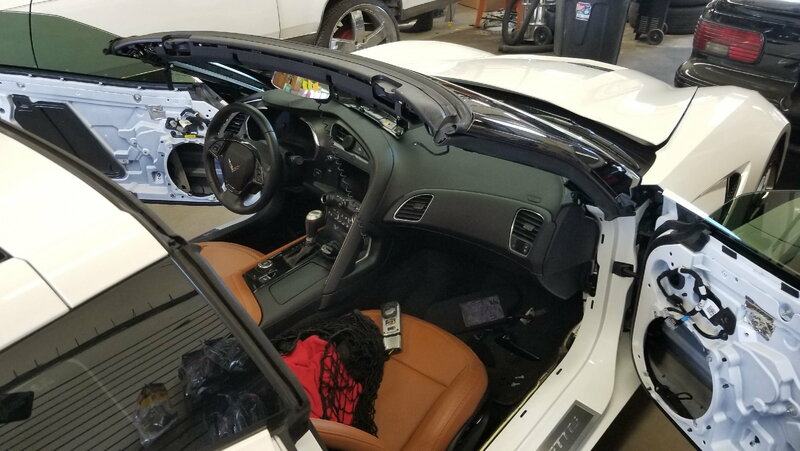 Did you have any plans to do sound deadening? I had it done in my C5 Z06. 5 channel amp definitely way to go. Also components also. How long did it take him with the install? Thanks for the info. Sounds like a awesome setup. Same music I listen to. The Priest one of my favorite bands. Seen them about 7 times in concert. 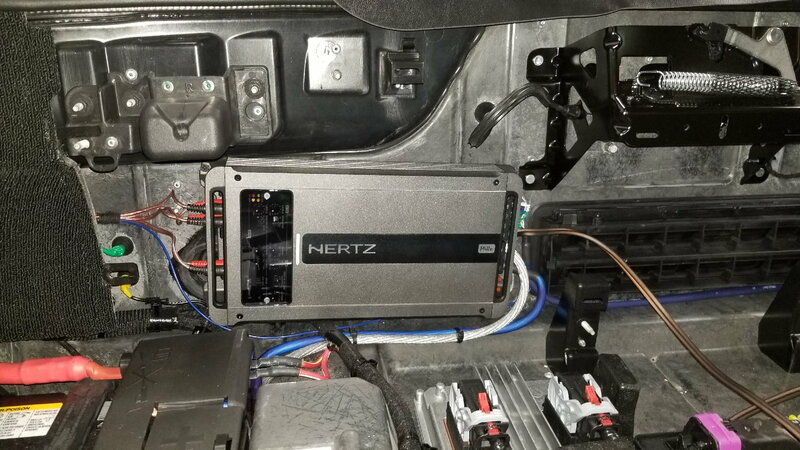 My c5 Z06 was all done up with audio system. Plan on having my C7 done down the road. Did you have any plans to do sound deadening? I had it done in my C5 Z06. 5 channel amp definitely way to go. Also components also. How long did it take him with the install? Thanks for the info. Didn't do sound deadening as I still wanted ability to hear exhaust. In total, about 13 hours. Told Wes to take all the time he needed. UPDATE- "Soundfield" seems to have been eliminated, no difference between centerpoint and driver when switching between them. Last edited by Rdgdawg; 04-17-2019 at 09:50 AM. OK then they grabbed the signal before the factory amp. If so that is actually a good thing as the factory processing is the main reason (IMHO) why the Bose system sounds crappy to begin with. Thanks for the info. Enjoy. I’m waiting for them to hit my area again!! Awesome seats you have. Been there great! !